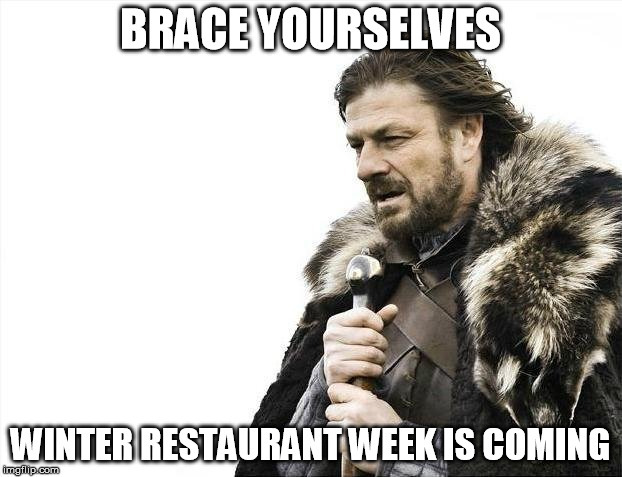 Birmingham Restaurant Week’s first-ever Winter Restaurant Week will be held January 25-31. We are so excited to be a part of this event. 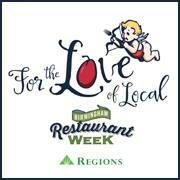 Restaurant Week not only supports local small businesses in the Birmingham area, but is also an excuse to eat some amazing food at fantastic prices. Like Birmingham Restaurant Week (held in August), Winter Restaurant Week features prix fixe menus at some of the best eateries in the Greater Birmingham Area. $15 Lunch Sampler for One – Includes 2 ribs, pulled pork, and 1/4 chicken (dark meat) with choice of two sides and a choice of dessert. Served from 11:00 AM to 2:00 PM. $30 Dinner Sampler for Two – Includes 4 ribs, pulled pork, 1/4 chicken (dark meat), smoked turkey, and smoked sausage with a choice of two large sides and choice of two desserts. Served from 5:00 PM until Close.